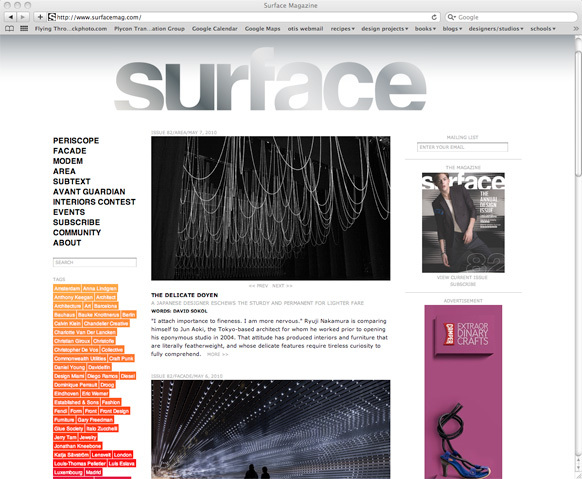 The Surface website design was inspired by the structure of a blog. Its menu and meta-tags offer the viewer multiple options for interacting with content and function as a hyper-index branding Surface magazine as a primary source for what is relevant in style and design. 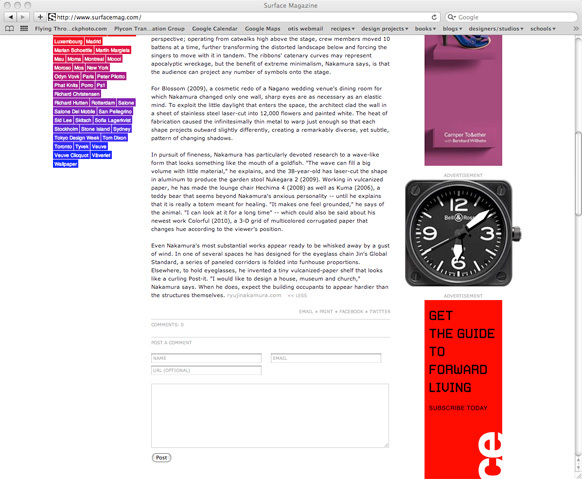 Current content is foregrounded by the main navigation and meta-tags. Sorting options allow the viewer to organize content by popularity or individual interest. This allows unlimited entry points to the site and an experience that will be enriched by multiple visits.